Discussion in 'TMO General Discussion Forum' started by VoodooBoss, Sep 19, 2015. The first BMO member that receives their GT350 can have their car featured in the banner photo. I'd like a good side shot of the car and not cropped with plenty of the photo having scenery on either side and the bottom. A darker background works best. Hopefully the GT350's get released soon. Whomever wants their car featured on the banner post your photo in this thread. Rick - you are going to have to change the name to BMO/GT350 for the website soon.... haha. I sure hope the 2015's and R's get shipped soon so all the members that ordered one get to enjoy them. 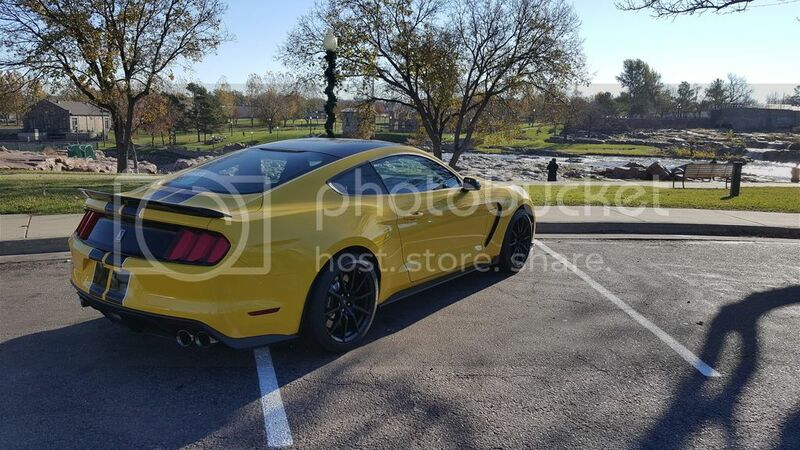 Please post photos of your GT350 in this thread and I might use your photo next. Note side shots with lots of space on either side work best.